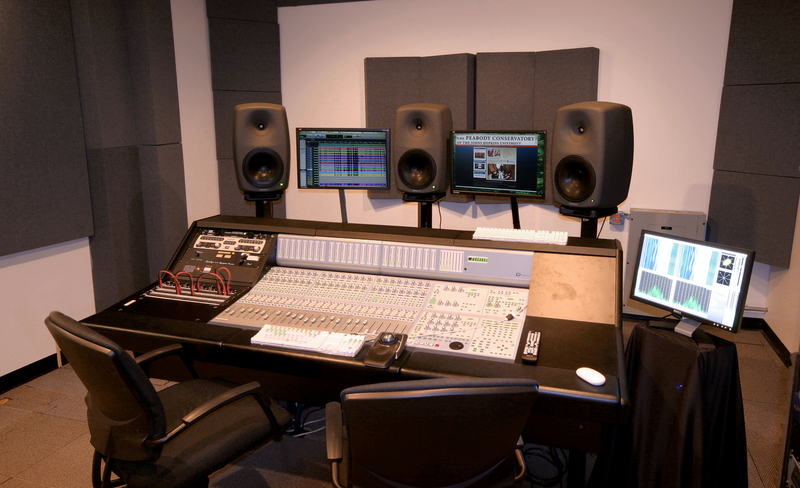 The Peabody Conservatory’s recording/control room, which recently got a sonic upgrade with the addition of Genelec Active Monitors. Pictured is an L-C-R array of three Genelec 8260A Tri-Amplified DSP Monitors, part of a larger 5.1 Genelec system. The Peabody Conservatory’s recording/control room, which recently got a sonic upgrade with the addition of Genelec Active Monitors. Pictured is an L-C-R array of three Genelec 8260A Tri-Amplified DSP Monitors, part of a larger 5.1 Genelec system. Seated is Scott Metcalfe, the Peabody Conservatory’s Director of Recording Arts & Sciences. NATICK, MA, August 25, 2010 — Johns Hopkins University’s Peabody Conservatory, which has educated some of the world’s finest musicians and whose curriculum also has an extensive professional audio training component, recently purchased and installed an entire new 5.1 surround monitoring system from Genelec, the pioneer in Active Monitoring technology for three decades. The new system consists of an L-C-R array of three Genelec 8260A Tri-Amplified DSP Monitors, and a rear pair of 8250A Bi-Amplified DSP Monitors. Both models feature Genelec’s proprietary AutoCal™ automated calibration, Genelec Loudspeaker Manager (GLM™) control network, advanced Genelec Directivity Control Waveguide™ (DCW™) and MDE™ (Minimum Diffraction Enclosure™). All five monitors are mounted on stands surrounding the control room’s console. The system is completed with the powerful and precise Genelec 7270A Active DSP Subwoofer. The Conservatory also purchased a Genelec AD9200A , high quality, 192kHz 8-Channel Analog to Digital Converter. 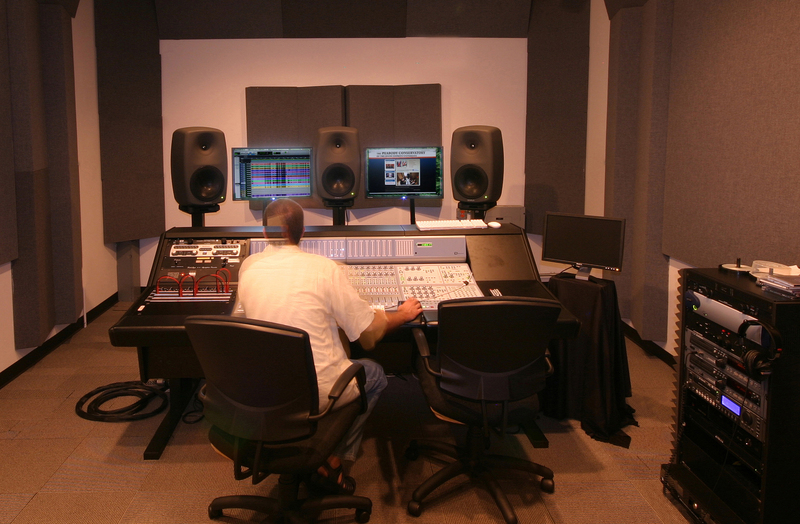 The Genelec monitors and converter were sold by Greg Lukens at Washington Professional Systems. Photo Caption 1: The Peabody Conservatory’s recording/control room, which recently got a sonic upgrade with the addition of Genelec Active Monitors. Pictured is an L-C-R array of three Genelec 8260A Tri-Amplified DSP Monitors, part of a larger 5.1 Genelec system. Photo Caption 2: The Peabody Conservatory’s recording/control room, which recently got a sonic upgrade with the addition of Genelec Active Monitors. Pictured is an L-C-R array of three Genelec 8260A Tri-Amplified DSP Monitors, part of a larger 5.1 Genelec system. Seated is Scott Metcalfe, the Peabody Conservatory’s Director of Recording Arts & Sciences.